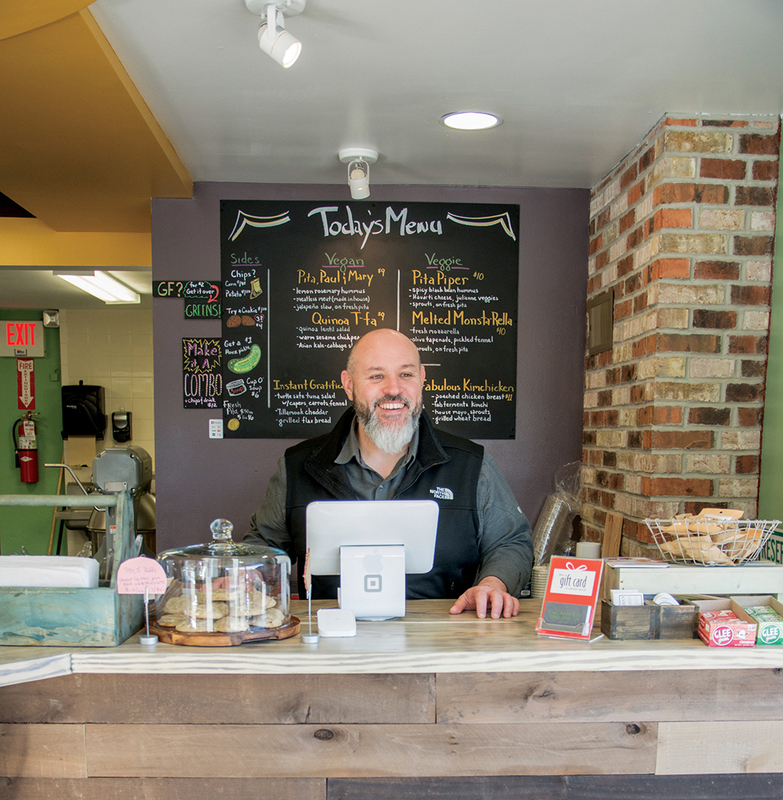 Ethan Snider’s market makes picking up a quick, healthy bite simple. You’ve probably heard of the farm-to-table movement, but what about bringing that idea home—literally? That’s where convenience spot Fond: Market & Co. in Oakley, a compact extension of its Montgomery location, comes into play. 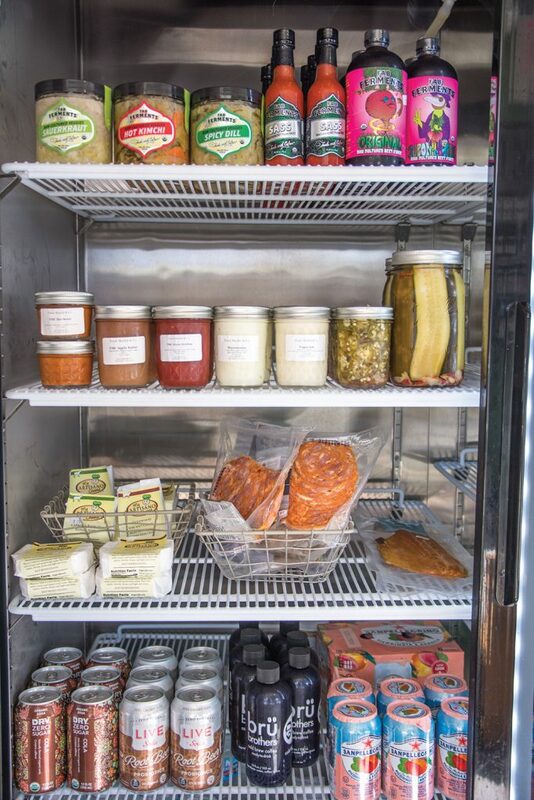 If you’re looking for that key ingredient for a showstopping home-cooked main course or maybe just an unexpected addition to your pantry and fridge, owner Ethan Snider has you covered—and he can tell you exactly where it came from. Having a neighborhood, farmer-centric marketplace was always in the back of Snider’s mind, he says. There were just a few hurdles he had to overcome before he could make that vision a reality. To start, he needed a local network of farmers. He was an out-of-state executive chef at a private beach club in southern Florida when he came across an article about east side farmers’ markets in the July 2008 issue of Cincinnati Magazine. “That’s when it clicked for me. That’s where the farmers are; that’s where I need to be,” says Snider, a Cincinnati native. Fast-forward 10 years, and he has successfully made a name for himself in the city’s farmers’ market scene. First with his own artisanal hummus brand Summuh (that’s hummus backward) and then with sit-down deli Fond in Montgomery. What we’ve come to expect from Snider are two things: food that puts quality first and a welcoming nature toward every person who walks through the door. Don’t be surprised if you’re soon on a first-name basis. 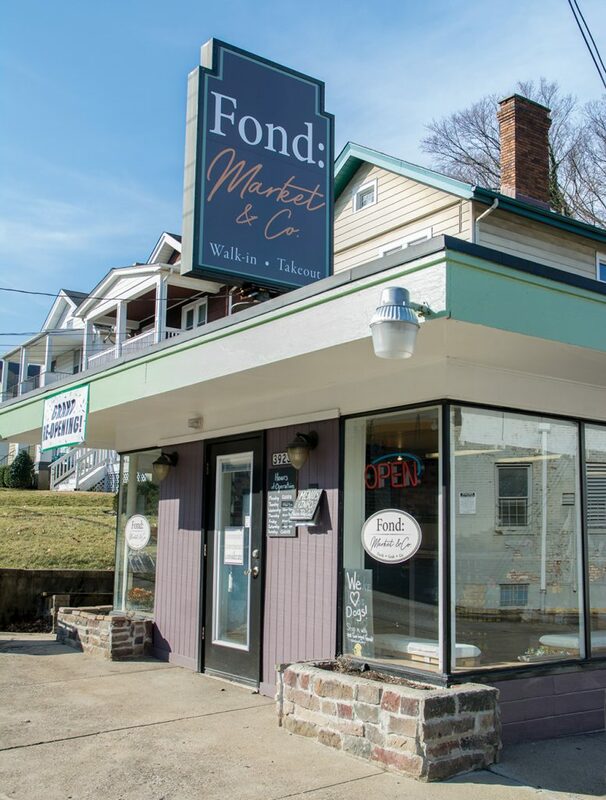 Fond makes the most of every square inch of the tight space (formerly Mama Mimi’s Take ’N Bake Pizza): There’s no room for tables, so it’s a grab-and-go; and there’s minimal food-prep space, so they make simply prepared dishes. Of those dishes, Snider says, “the names are funny, but the products aren’t.” You know exactly what you’re getting, no joke. We especially liked the Quinoa T-fa, a warm pita stuffed with quinoa-lentil salad, warm sesame chickpeas, and an Asian kale-cabbage slaw. 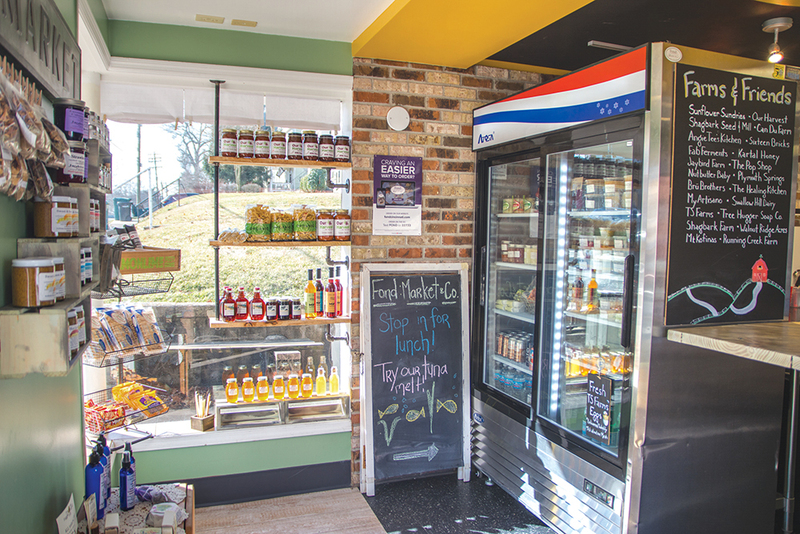 GOOD TO KNOW: In addition to a curated selection of local foods, you can also find premade pita-ables (a spin on Lunchables) and salads direct from Fond’s kitchen. Because why shouldn’t fast food be healthy?